With a little time on my hands this afternoon, I finally took the opportunity to check the final results on the most recent poll. 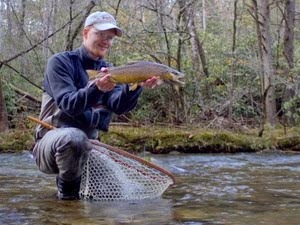 Apparently the majority of you enjoy seeing reports on fly fishing in the mountain streams of east Tennessee more than anything else. 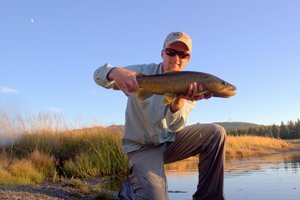 A solid 60% voted for that as their favorite type of fishing report I've posted on here. I tossed warmwater reports on as an option as well and it got one lone vote. In the next month or two I'll be doing more of that type of fishing so maybe more people will start to appreciate the opportunities available. 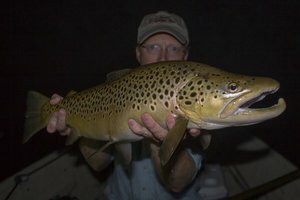 Upcoming this next week I'll likely be chasing some warmwater species and also have a backpacking trip lined up in the Smokies. So far it looks like the weather will be decent but not necessarily great for the Smokies trip. 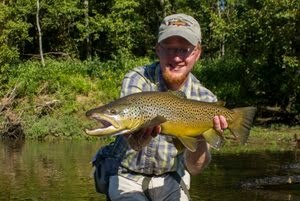 However it will involve the possibility of some very nice brown trout and I'll also be taking a buddy along for his first try fly fishing so it should be fun. I'm also very excited about the potential warmwater opportunities this next week. The water around here is still on the cool side but I'll be visiting a location that has a pond loaded with BIG bass (somewhere in TN). Big fish have to eat so maybe I'll coax one into getting fooled. Also I might finally get a chance to return to the Chickamauga tailwater to chase white bass, hybrids, yellow bass, crappie, largemouth, smallmouth, stripers, and many other species. 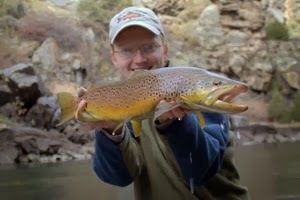 This type of fishing is very exciting because you never know what is going to eat your fly. As always you'll be first to see the reports so check back for more!